Pulse almonds in a food processor or high speed blender until finely ground, then add oats until ground. Add to a mixing bowl then add in the remaining ingredients and mix well. Roll teaspoons of dough into balls and place on a baking tray, then flatten the cookies slightly. Bake at 170C for 10 minutes until lightly golden. Let cool completely before removing from the tray. 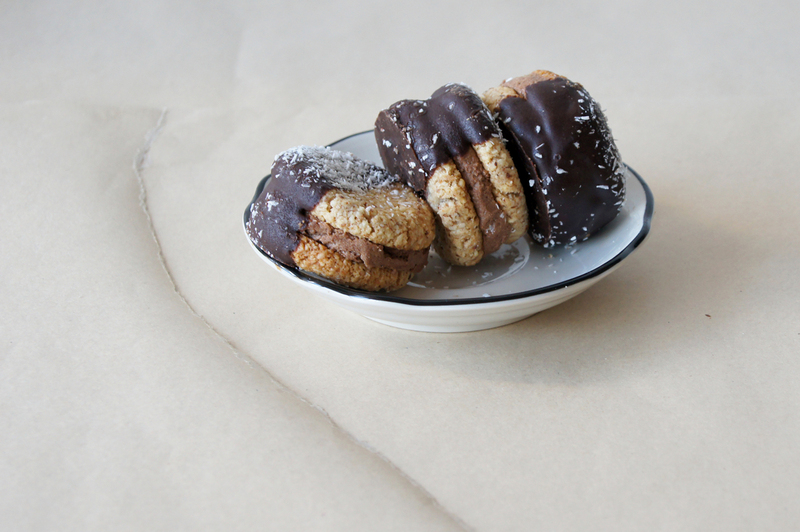 To assemble: Spoon a scoop of cashew cream onto a cookie and sandwich with another cookie. 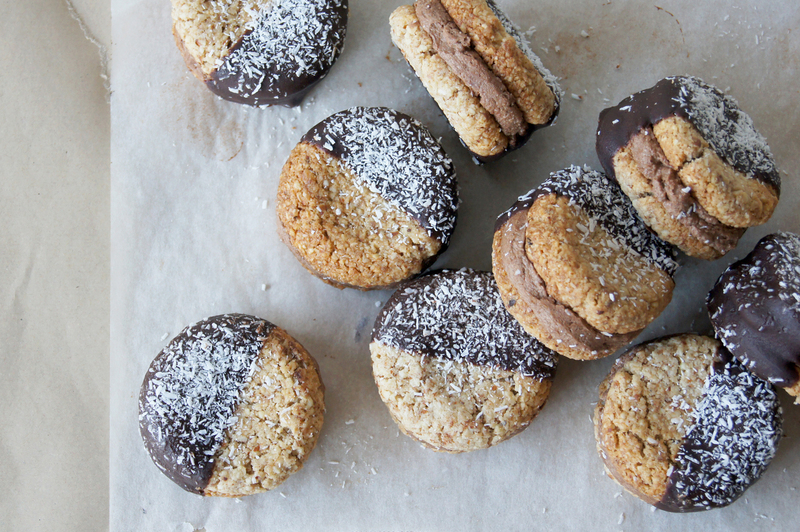 I then dipped them in chocolate and added some extra coconut, but both are optional! They cookies are even great just on their own! This entry was posted in Recipes and tagged almond, chocolate, coconut, cookie sandwich, cookies, food photography, food styling, Gluten free, healthy baking, photography, raw chocolate, raw dessert, Vegan, vegan baking, vegan dessert, vegan melbourne, wholefoods. Bookmark the permalink.